“The Republican Party values polluter wealth over public health,” according to The Guardian of London. NPR’s Boston affiliate tells us the conservative movement is rife with “skepticism of anthropogenic climate change and ignores the urgent need to reimagine our energy economy.” Most importantly, the Sierra Club and the League of Conservation Voters’ 2018 midterm endorsements suggest there isn’t a single Republican running for federal office worth their endorsement. Yet, despite the distractions and clickbait headlines, strong progress is being made to address environmental issues, and many Republicans in Congress are leading the way. While left-leaning environmental organizations will continue to play partisan games and refuse to endorse any Republicans this year, the past congressional session has proven that many GOP visionaries are charting a new environmental movement. Recent polls from the American Conservation Coalition (ACC) and Conservative Energy Network (CEN) show a staggering increase in support for clean energy among conservatives, especially younger ones. This helps explain why congressional Republicans recently have made environmental reform a priority. In fact, key pieces of legislation lately have passed the Senate, House, or both. Two weeks ago, President Donald Trump signed into law two important energy bills. The Department of Energy Research and Innovation Act, increases funds for technology, innovation, research, and private-sector involvement within the clean-power industry. Also, the Nuclear Energy Innovation and Capabilities Act, incents research, improved infrastructure, and technological innovation in atomic power. Both of these bills were introduced by Republicans in deep-red districts and/or states. Additionally, many elected Republicans fought the president’s tariffs on solar panels, and all three Republicans on the Federal Energy Regulatory Commission (FERC) opposed President Trump’s proposed coal-industry bailout. Republicans also are leading on conservation. Representatives Will Hurd (R - TX) and Rob Bishop (R - UT) both introduced legislation with over 60 cosponsors to defund the $12 billion maintenance backlog within the National Parks System. Last month, Bishop’s legislation (H.R. 6510) passed a House committee with bipartisan support. The legislation re-allocates funds from energy production to the National Park System. Once passed, it will be the largest National Parks investment in American history. Regarding fauna, the Senate unanimously passed the Wildlife Innovation and Longevity Driver Act. The WILD Act provides incentives and awards for innovation to prevent poaching, reduce invasive species, and protect endangered species, among other conservation goals. 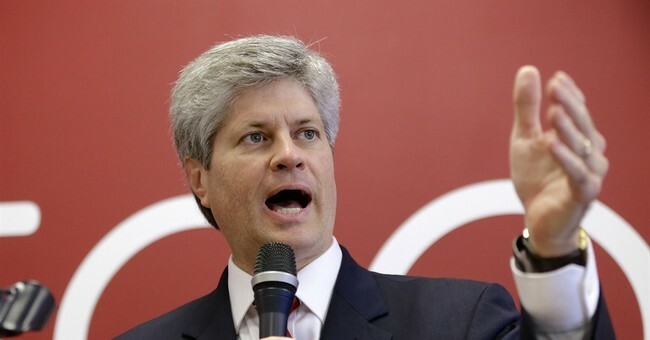 Representative Jeff Fortenberry (R – Nebraska) introduced the Recovering America’s Wildlife Act. RAWA gives $1.3 billion to specific state wildlife agencies to curb a recent influx of threatened or endangered species. RAWA, which currently enjoys 100 cosponsors, achieves two conservative objectives: it does not raise taxes, and it trims the federal government by shifting money and decisions to state capitals. On Friday, President Trump also signed into law the Save Our Seas Act, a paramount piece of legislation concerning marine debris and ocean pollution. Often forgotten about in environmental discussions, ocean pollution is one of the biggest environmental problems. In fact, it’s estimated that there are over 46,000 pieces of floating plastic per square mile. Save Our Seas addresses this through adequate funding, additional foreign action, and a strong partnership with the National Oceanic and Atmospheric Administration (NOAA). Republicans have surprised many on climate change. The New York Times reported in July that most Republicans believe in climate change and seek to limit carbon emissions. Representative Carlos Curbelo (R-FL) spearheads the 45-member Climate Solutions Caucus. It calls for bipartisan solutions to reduce the risks of climate change. Representative Elise Stefanik (R-NY) last year sponsored a resolution, with 23 cosponsors, that proposes limited-government solutions on stewardship and climate change. There has been terrific progress within the party on environmental issues, and these provide a great start. However, it would be incorrect to say that everything is on the right track. Republicans — and their voters — need to prioritize environmental issues and elect more pro-environment legislators. Despite the leadership of GOP lawmakers, many other elected Republicans are on the wrong side of this topic, sometimes even erring against the environment. It is vital that the movement understand and address this deficiency. Republican legislators need to introduce necessary legislation and then focus on its enactment. For example, before Congress concludes its lame-duck session, it’s imperative that it reauthorize the Land and Water Conservation Fund, which underwrites America’s cherished public lands, wildlife, and outdoor recreation. This November, Americans should look past unreliable environmental barometers, such as those from the liberal media or the flawed League of Conservation Voters’ scorecard. Too many of these organizations falsely paint all Republicans as anti-environment, while presenting only the Left’s viewpoint as acceptable on green issues. In spite of what we’re told, the Republican Party is not the enemy of the environment. The GOP is proving this through resolutions, statements, and enacted laws. Pro-environment Republicans need voters’ support. Come 2019, they (and hopefully many more like them) will continue their work. Conservatives must continue to bridge this gap on the environment. Thankfully, a growing number of Republicans are working toward America the beautiful. Benjamin Backer is a conservative activist and the president of the American Conservation Coalition, a nonprofit focused on free-market and limited-government environmentalism. He is a junior at the University of Washington in Seattle.